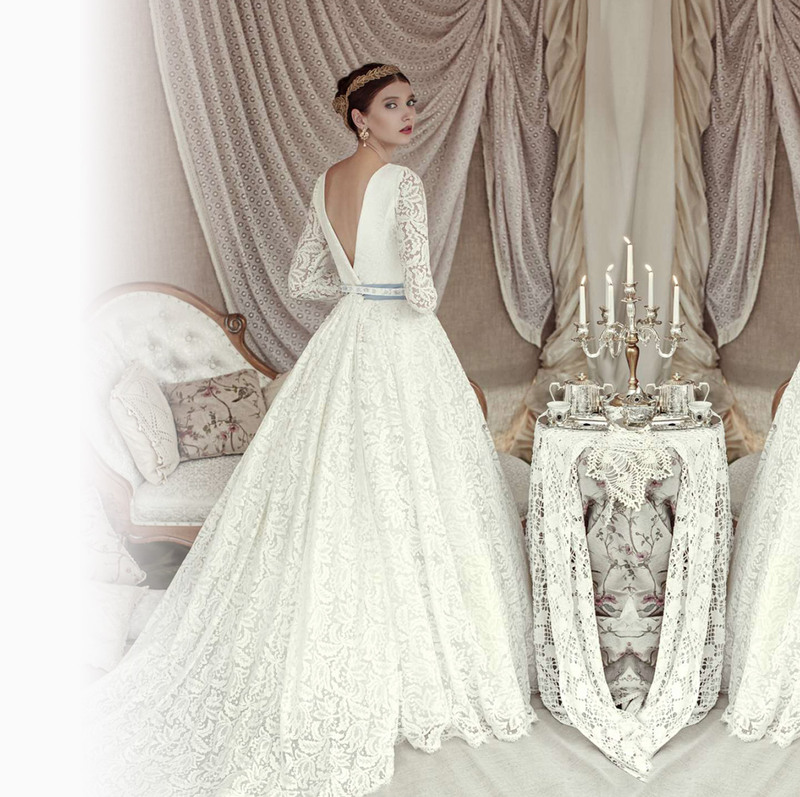 Plan your wedding day with help and inspiration from Debrett’s, the wedding experts. With over 280,000 weddings each year in the UK, they are big business, with the average wedding spend exceeding £36,000 and the average wedding checklist consisting of over 100 items. Planning a wedding and managing such a large budget can often be a stressful and exhausting process, with couples eager for whatever help they can get along the way. Traditionally a print-based publisher, Debrett’s is a century old, British based business offering etiquette training, and more recently, bespoke wedding planning services. 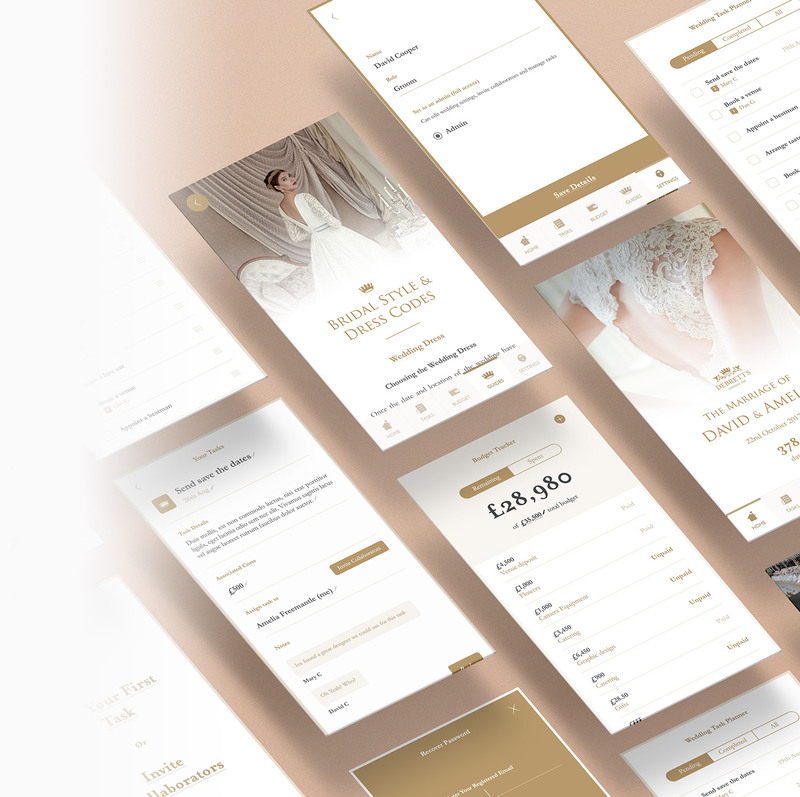 Keen to evolve into the digital age and appeal to a wider audience, Debrett’s saw an opportunity to enter the app marketplace, creating an app to help couples plan their wedding and manage their budget. Users can create an account on the app with their email address or alternatively social sign-up options allow them to login with their Facebook credentials. During the sign-up process, users are asked for their name, as well as that of their partner, along with their wedding date and estimated wedding budget. Once inside the app, users can begin adding tasks and due dates to their list. Where applicable, tasks with an associated cost can be marked as paid or unpaid, with tasks marked as paid being automatically deducted from their wedding budget. In the budget planner view, users can flick between two views: budget remaining and budget spent. The most complex feature of the app is the collaboration element. Not only can couples add tasks for themselves to the app, but they can also assign tasks to other collaborators in their wedding party, from the mother-of-the-bride to the best man or wedding planner. For security, and to avoid non-verified collaborators joining a couple’s wedding, the wedding couple can generate a unique code within the app and share it with their friends or family, who are then sent a link to the App Store to download the app and join the wedding party. Where required, couples can promote collaborators to an admin role, where they can then assign tasks and manage the wedding budget themselves – particularly useful where a couple has hired a wedding planner. Alongside the key features of the app, Debrett’s also provide users with access to a curated list of articles, aimed at helping couples to plan for their big day. Amongst them are articles on budget management, seating plan arrangements and schedule planning. The Guides feature of the app was built using a custom API, connected to a bespoke CMS that Debrett’s can access to dynamically create and add new articles to the app at their leisure. 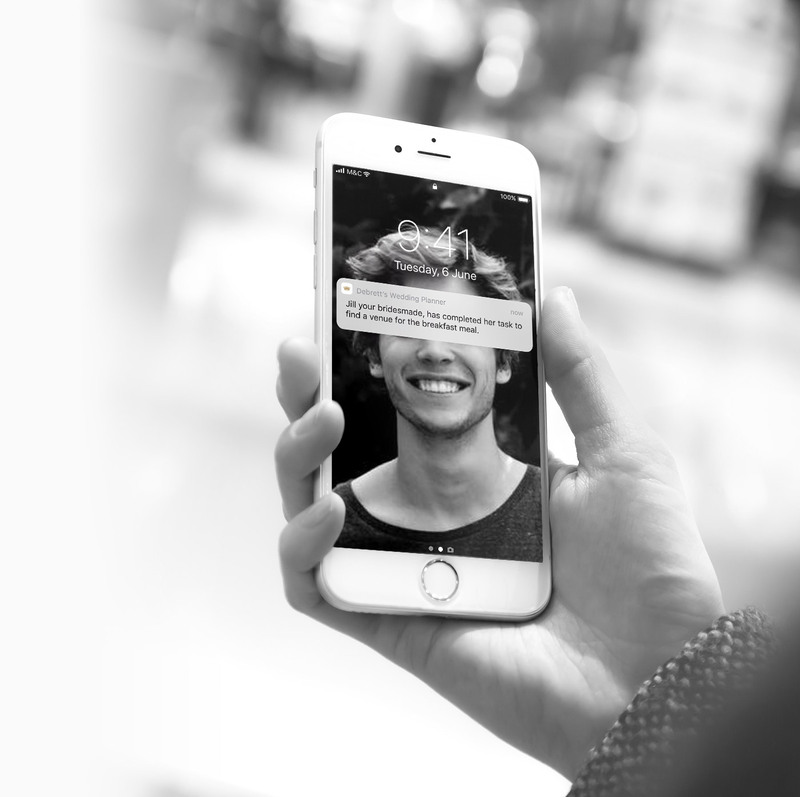 To keep users coming back to the app, a notification system was built to send push notifications to users under various circumstances, defined through a notification logic map which sets out the rules and triggers for each notification. Notifications are broken down into two types: automated and manual, with automated notifications being time-based and manual being triggered by a user’s actions. Examples of these include collaborators joining the app, a collaborator being assigned a task, users commenting on tasks and when a new guide is added to the app.